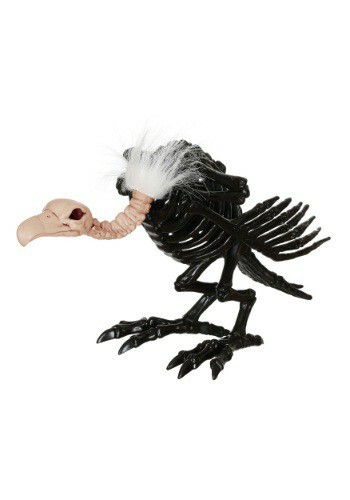 But that experience feels just peachy when compared to an encounter with this 14” Black Skeleton Vulture. This monster is done looking for carrion; he’s moved on to searching for souls to gobble. Set him up at your next Halloween party and let your friends jump at the creepy sight of his rotating head, his posable neck, and his skinless gruesomeness. They just might think that he's sizing them up for a meal! And you know, we may think the same. Good luck with this one, y’all. We have a low vulture tolerance after our last run-in!